Kaffe: as an over the top person myself, I could not agree more. I’ve been an avid follower of Kaffe’s career for seemingly as long as he has had one. I’ve stitched many a stitch, inspired by his art. How great is this that he, an American, and as the article below states, “a transformer of the textile industry,” is the subject of a retrospective at the American Museum in Bath! Baltimore Urn and Bowl still life cushions. Needlepoint, 46 x 46 cm. Courtesy of Hugh Ehrman. 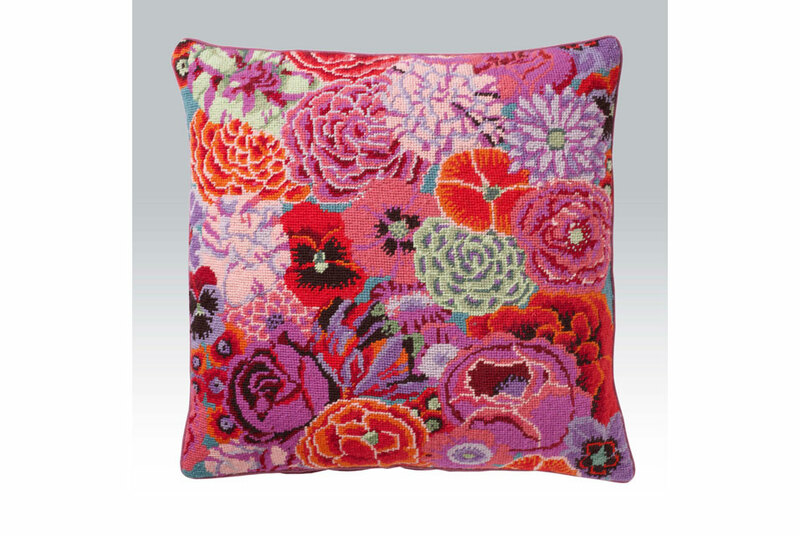 © Kaffe Fassett Studio.